Coffee - Bulk Is Used For Applications Including Hospitality, Food Service, Corporate, And More. Coffee is made of natural ingredients for long lasting quality. Bulk coffee is used for breakrooms, restaurants, bistros, and more. This offering has various flavors, roast levels, and types for application versatility. Brands and dimensions vary per model. Products are non-returnable. 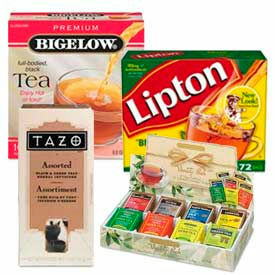 Teas Are Used For Applications Including Retail, Food Service, Hospitality And More. Teas are made of natural ingredients for long lasting quality. Units accommodate breakrooms, cafeterias, coffee shops and more. 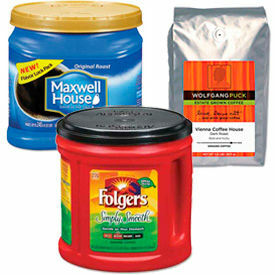 Includes various quantities, flavors and brands for application versatility. Package quantities, brands and dimensions vary per item. 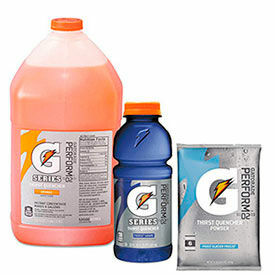 Sports Drinks Are Used For Applications Including Athletic, Educational, Food Service, And More. Sports drinks are made of natural ingredients for long lasting quality. Drinks accommodate sporting events, outdoor venues, work environments, and more. Beverages provide a scientifically validated blend of carbohydrates and electrolytes to replenish fluids and maintain hydration. Includes various quantities, types, and brands for application versatility. Available types are Bottle, Can, and Packet. Styles are Energy Drink, Fast Pack Drink Package, Sports Drink, Sports Drink Concentrate, Sports Drink Mix Sticks, and Sports Drink Powder.The sports drinks come in variety of flavors and assorted sizes. Brands and dimensions vary per model.Products are non-returnable. Water Is Used For Applications Including Educational, Food Service, Hospitality And More. 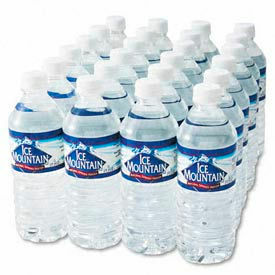 Water is made of natural ingredients for long lasting quality. Water accommodates breakrooms, cafeterias, waiting areas and more. Includes various quantities, types and brands for application versatility. Sizes and package quantity vary. Brands and dimensions vary per model. Products are non-returnable.